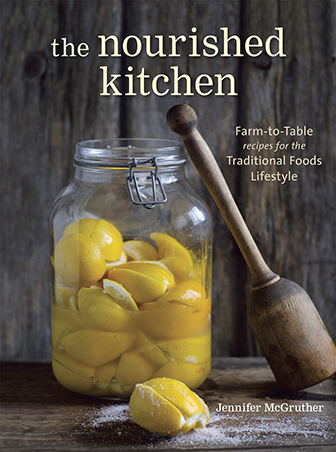 I make a handful of staples each week: a roast chicken, bone broth (check out my new cookbook on Broth and Stock), no-knead sourdough bread, homemade yogurt, milk kefir, Jun tea, avocado oil mayonnaise, and hummus. It’s these staples that I always have on hand to help us fill out the week. 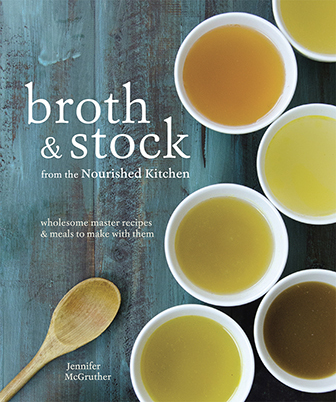 Broth gives us a week’s worth of soups and sauces. Yogurt and kefir make for quick breakfasts, served with fruit or blended into a smoothie. Jun, with its effervescent notes of green tea and honey, is pleasant to sip on throughout the week. I slather the mayonnaise on sandwiches and blend it into creamy dressings like Kefir Ranch Dressing. And hummus? Hummus is that go-to snack that’s always there, in the fridge, ready to pull out when my 10-year old comes home from school, or when we visit friends for dinner and I need a last minute addition to the table. For the most part, we aim for vibrantly flavored hummus – chickpeas blended and spiked with lemon and green herbs, or sprouted with garlic and jalapenos, or mixed with toasted pine nuts and kalamata olives. Lately, we’ve enjoyed Sriracha Hummus – chickpeas, garlic, sriracha and smoked paprika whizzed together in a food processor. The garlicky sweet heat of sriracha blends beautifully with the earthy notes of chickpeas. I like to make my hummus from dried chickpeas, avoiding canned chickpeas. The flavor is superior: fresher and richer without the tinny, metallic undernotes you find in canned foods. It takes a little more planning to work from dried chickpeas than canned, of course, but not much more effort. A good soak overnight with a pinch of baking soda, which helps to make them more digestible, and boiling them until soft on the stovetop or using a pressure cooker (like this one) is worth the effort. We eat a fair number of pulses (read more about what pulses are here): they’re inexpensive, they’re loaded with micronutrients and they’re packed with resistant starch – all good news. Recently, the UN named 2016 the International Year of Pulses owing to the ease by which they’re grown in a variety of climates, their nutrient profile, their role in traditional diets worldwide and their affordable price point. Pour the chickpeas into a bowl, cover with warm water by two inches and then stir in the baking soda. Let the chickpeas soak, covered, for 18 to 24 hours. Drain them and rinse them well. Dump the soaked chickpeas into a stockpot or Dutch oven, cover them with plenty of water and boil them over high heat until softened, about 1½ to 2 hours. Drain the chickpeas, and allow them to cool to room temperature. Place the chickpeas, garlic cloves, salt, smoked paprika, tahini, sriracha, olive oil and water into a food processor, and process them together until they form a smooth, velvety paste. Serve immediately with vegetables, or store in an airtight container in the refrigerator for up to a week.